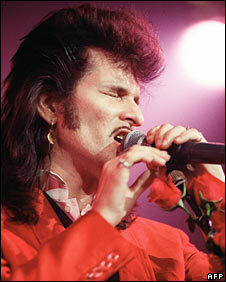 Punk pioneer Willy DeVille has died at the age of 58 following a battle with pancreatic cancer. The band he formed, Mink Deville, appeared at the legendary CBGB club in New York in the 1970s. "The rock world has lost another one of its influential pioneers," his publicist Carol Kaye said. The song Spanish Stroll, from the band's 1977 album Cabretta, was a top 20 hit in the UK. It was followed by a second album, Return of Magenta. Deville was better known in Europe than in the US. In 1980, he went solo with Le Chat Bleu, which was recorded in Paris. His song Storybook Love featured in the 1987 film The Princess Bride, earning him an Oscar nomination. "Throughout his career, his musical gumbo was always layered with his deliciously gravelly soul-drenched vocals," Ms Kaye said. DeVille, who was married to Nina, died at New York's Cabrini Hospital on Thursday. Doctors discovered he had cancer earlier this year as he was preparing to undergo treatment for hepatitis C.